CODICE: F011. PRODUTTORE: LABOR Pro Hair. BIGODINO PERMANENTE PROFESSIONALE. Nella rara eventualità in cui si dovesse presentare un problema. Serietà e celerità sono da sempre le prerogative alla base della nostra attività. BENDY HAIRDRESSING. 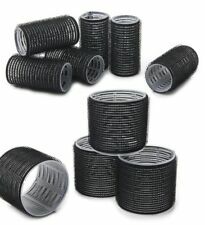 wide thick bendy twistee hair rollers. FOAM TWIST HAIR CURLERS. With these curlers you can give your hair any look you like. They are good for perming or use with settng lotion,mousse or gel. Pretty 8 Small sleep in hair rollers. Soft enough to sleep in. Create bigger hair. These traditional perm rods are designed to be used with all makes of perm lotions to create various types of curls within the hair. Professional superb quality. Skelox style. Hair Setting Rollers With Plastic Pins. TRIXES Set of 24 Pink Silicone Hair Curlers Gift for Her for Effortless Heat Free Hair Styling < b>. These lightweight silicone curlers are comfortable to sleep in and fold inwards to hold your hair securely in place. With these curlers you can give your hair any look you like. They are good for perming or use with setting lotion, mousse or gel. Divide your hair into sections--curl each section of hair firmly around a flexi-rod, keeping a steady tension on the hair as you roll down to your roots of the hair. Sleep in Rollers Pink with Roller Bag. Soft Foam Rollers. 50 mm Pink Sleep In Velcro Roller. New products added weekly. Easy to use,to create any hairstyle you like. Super-absorbent heat-free rollers can curl your hair without damaging it. Mini:If you have long,but fine hair that struggles to hold a curl or hair length between chin and shoulder blades then our MINI roller set,is best for you! These traditional perm rods are designed to be used with all makes of perm lotions to create various types of curls within the hair. Rollers Styling curling Tools. Thin Plastic Colours. for most hair rollers. Can be used for smaller hair rollers. Hair Roller Pins. They are standard thickness hair roller pins. Roller pins with Non-slipping. 18 TWISTEE BENDY HAIR ROLLERS. THESE ARE EASY TO USE AND PROTECTS HAIR FROM BREAKAGE. CAN BE USED ON WET OR DRY HAIR. NICE AND SOFT. 6 X LIGHT GREEN. Compatible with professional 30 and 20 piece roller set. 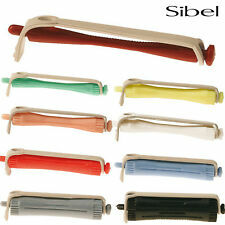 Curl, Wave, Set, Style with amazing quality hair rollers. 12 Green 6mm Perm Curlers. New Rubbers. 8 Bigoudis en Mousse. Lettre Suivie (en France). N’oubliez pas de m’ajouter à votreliste de favoris ! Expédiés de France sous 24h (sauf le week-end) -. 8 Bendy Hair Rollers. Sleep in Rollers Extra Large Shower Cap. Custom made shower cap to cover 20 Sleep in Rollers. Wake up in the morning and jump in the shower wearing your shower cap. New products added weekly. Hot pink bearing the logo "Hello Great Hair". 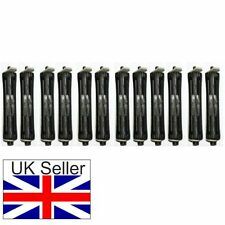 Hair Self Grip Curlers Soft SLEEP IN Rollers. They give a nice natural curl. Foam hair rollers. (die angegebene Höhe ist für den Einwurf in den Briefkasten notwendig. 10 - 14, D-42489 Wülfrath. ). ZEAL WHITE HAIR ROLLER PINS. Due to health and hygiene.